This cat, peering through a gap in a curtain, made me think of that beautiful set of Ralph Irving Lloyd cat lantern slides, taken in Brooklyn a century ago. 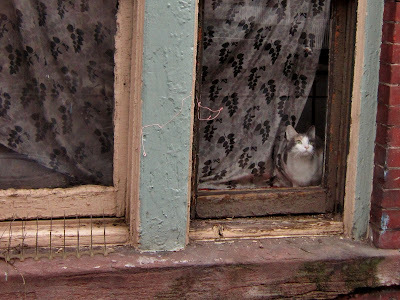 Today's cat must watch the world behind a pane of glass, while the Lloyd gang roam free. 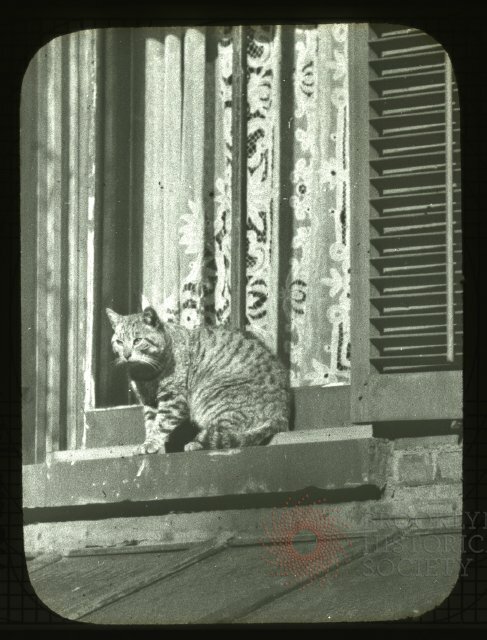 Cats on rooftops, cats on fences, cats sunning themselves on window ledges. Outdoor bruisers, they're kings of the backyard.